Monthly Potlucks, first Thursday of every month, starting at 6:30 PM TSS is active in all community events, operating the Golf Chip and Putt, and the Beer Tent for Tahsis Days, organizing flea markets, participating in the Spring and Fall Bazaars, hosting gardening workshops with the Tahsis Community Garden, and other events. 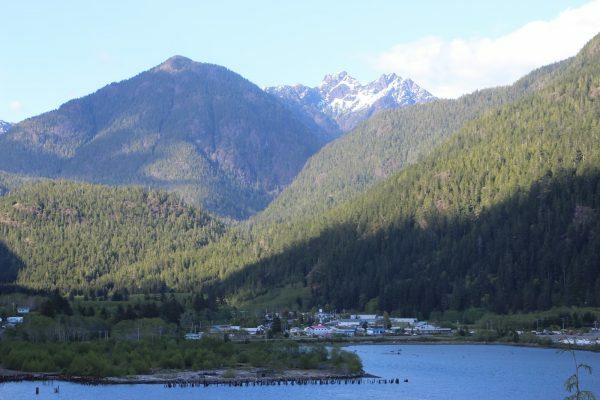 To contact the Tahsis Senior’s Society, visit the Center at 299 Alpine View (south end of Captain Meares Elementary School), Unit 100 or write PO Box 31, Tahsis, BC, V0P 1X0. 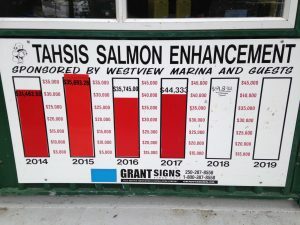 The national award winning Tahsis Salmon Enhancement Society raises and releases over 200,000 salmon fry each year which ensures a viable and healthy sport fishery in the region. The Tahsis Lions Club has been active for over 30 years raising money for charity, and contributing to community events such as Tahsis Days, BINGO’s, Halloween, Christmas Tree Lighting, Santa Claus Candy Run, and Polar Bear Swim. They also provide a yearly bursary to a CMESS graduate for their post-secondary education. The Artisan’s Co-op operates a gift shop within St. Joseph’s Catholic Church Hall daily during the summer months. The gift shop features the work of local artisans such as knitting, crocheting, pottery, photography, jewellery, painting, quilt work, cross stitch, etching, jam/jelly, & more. This is a great spot to find one of a kind souvenirs, and the occasional thing you didn’t know you needed until you spotted it in the shop! The Tahsis Community Garden Society is passionate about supporting the “growth” of Tahsis’ greenspaces. 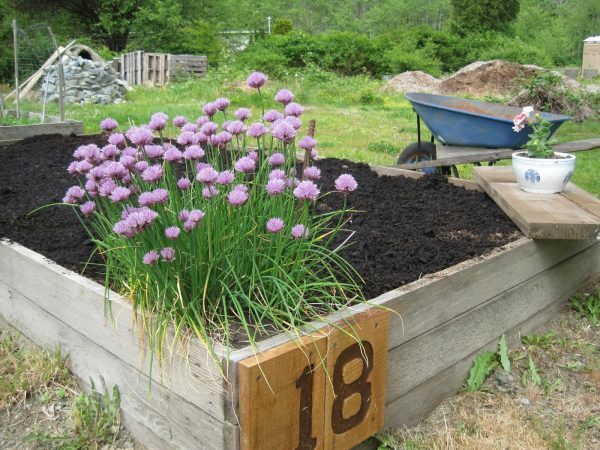 The idea of a community garden started to blossom in fall of 2009 and in March of 2012 they registered as a non-profit Society under the BC Societies Act. 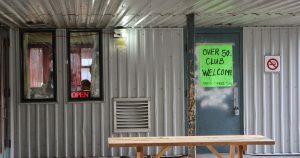 It is located in the Trailer Park at the end of Rugged Mountain Road. The garden has 20+ garden beds and a green house. Membership is available to village residents with a permanent Tahsis mailing address. They also host many events at the garden such as a Slugfest, celebrations of seasonal equinox or solstice, & more. To get involved or learn more about their initiatives, check out their blog, their facebook or email us. 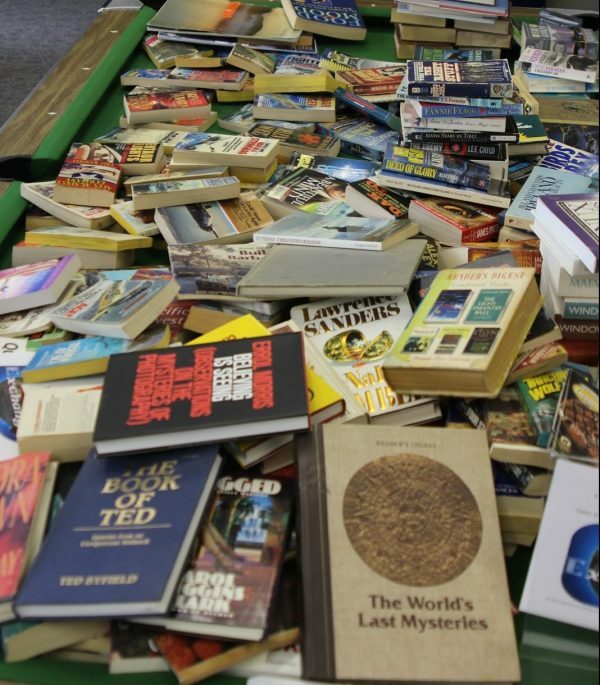 Tahsis Literacy Society is a non-profit mostly volunteer group working together to try to improve the literacy levels of ourselves and our neighbours. To do so, this group of passionate individuals meets regularly to organize fun literacy related events for the community. Each year, the Tahsis Salmonoid Program releases from 250,000 to 500,000 fry (80% Chinook 20% Coho) into the Tahsis and Leiner Rivers. 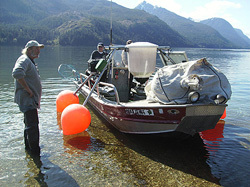 The program is staffed 100% by volunteers with the assistance of a coordinator from Department of Fisheries and Oceans. Currently, the Society is asking for Tahsis community groups to raise funds for the Salmonoid Program, to upgrade the water supply system.